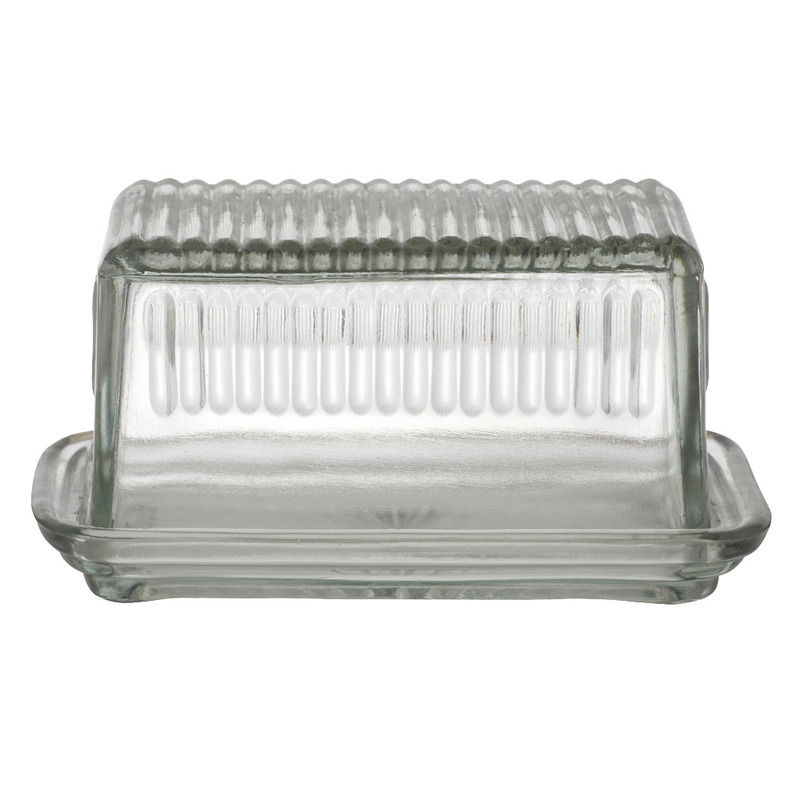 This Hemingway Glass Butter Dish upholds the Academy Home Goods’ signature style – as it’s made from tough glass and features a classic design that harks back to a bygone era. It will bring some provincial charm to your home and table setting, alike. Decorated with embossed retro-look accents. Dimensions: 16cm (l) x 10cm (w) x 8.5cm (d).